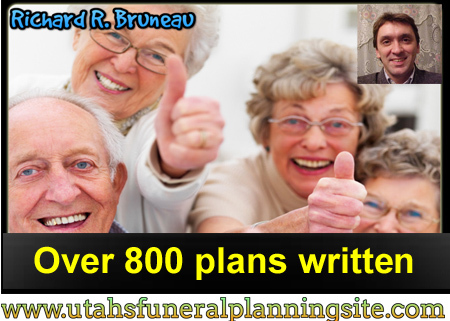 I have set up over 800 plans in 27 years. I only continue in this business because I know how to give everyone the very best value for your money. 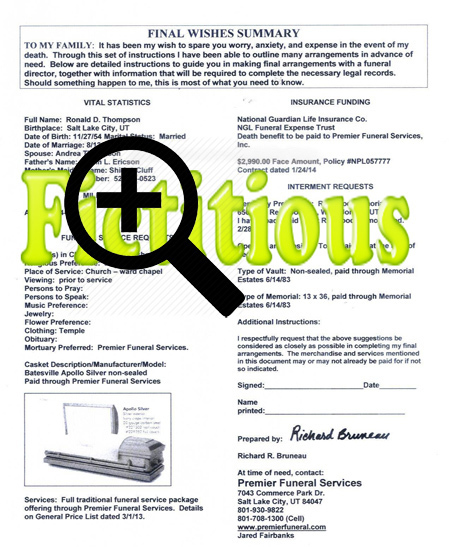 I am one of the very few who will show you what all the funeral homes and cemeteries charge from the beginning. 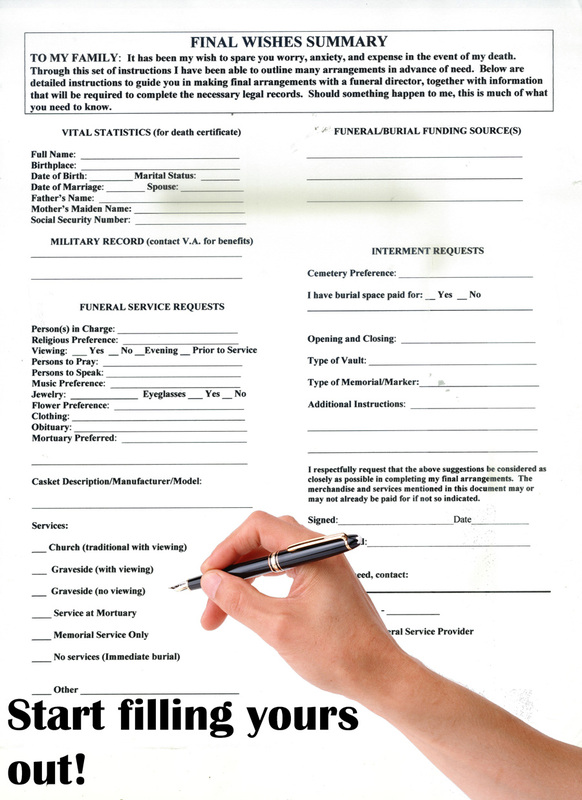 Then we choose the package of services and merchandise that will work best for you and your family. 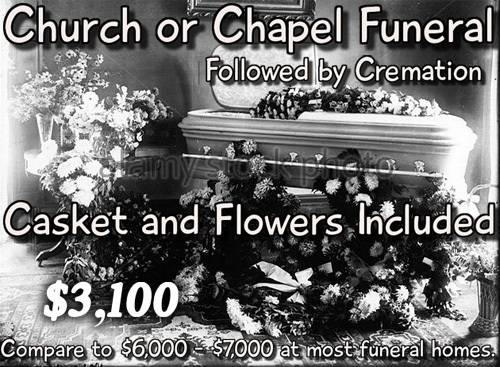 Funerals have become expensive because funeral homes know they can get away it. 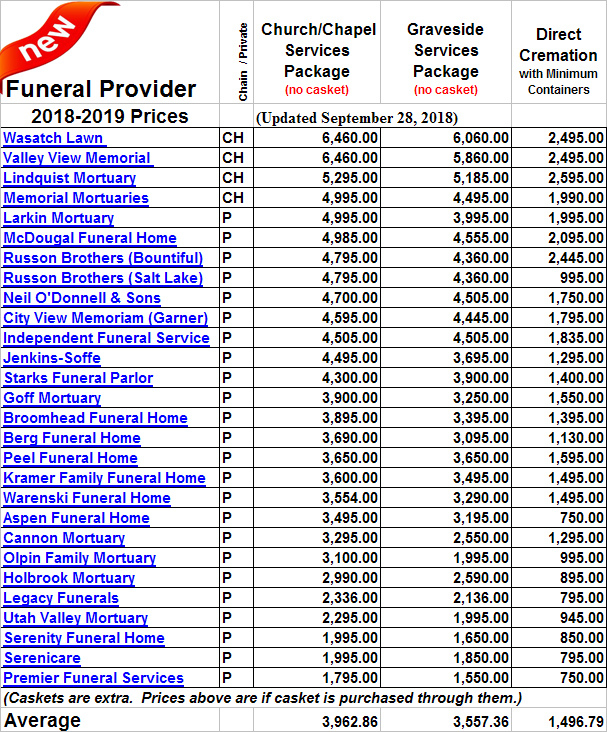 Never-ending price increases at expensive funeral homes is something they want you to accept as "reality." 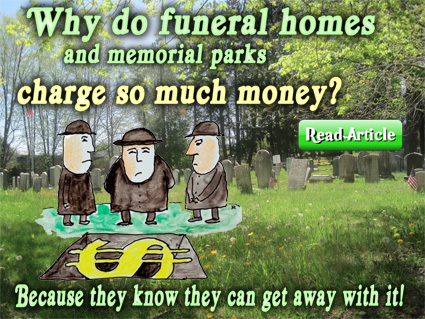 But the reality is, not every funeral home raises prices, and not every funeral home is expensive. You just have to know who they are. There won't be any sacrifice in quality once you know who they are. 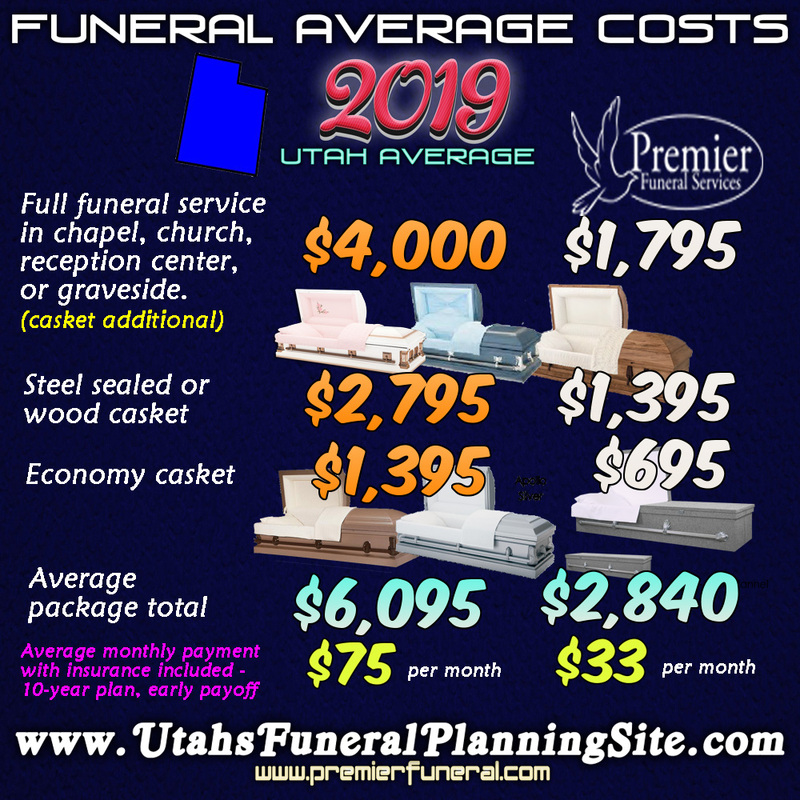 Burial costs are also over-priced at many of the big chain companies in the same way. 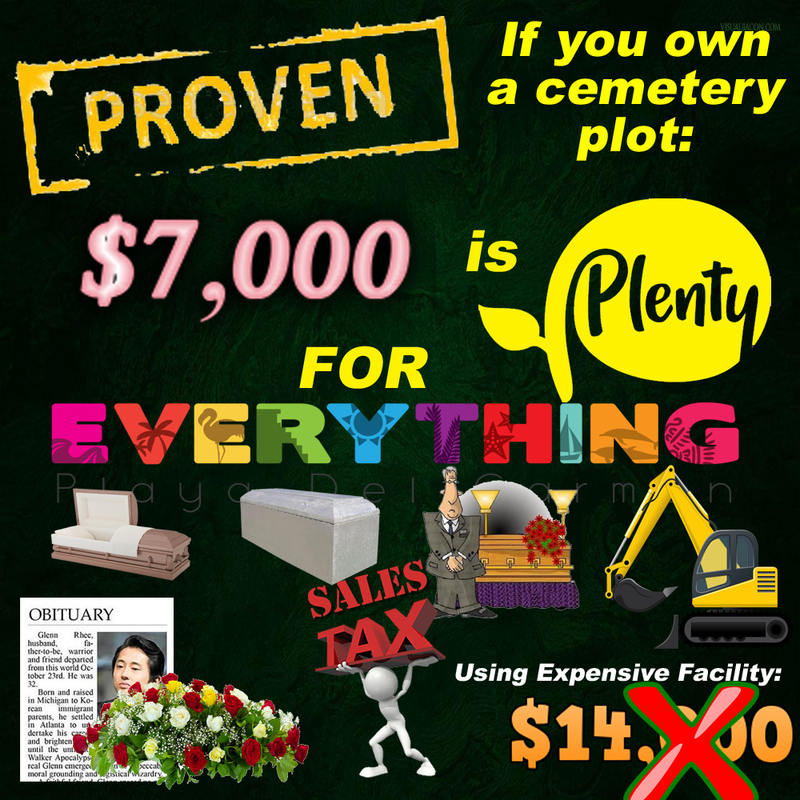 If you already own plots or cemetery property at one of these companies, you can still cut your costs quite a bit. 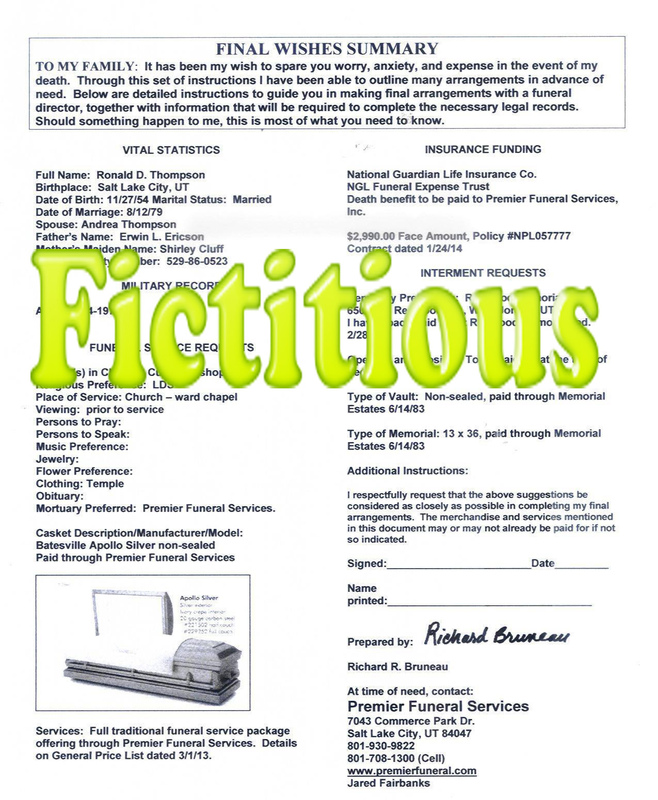 A burial vault is required at all cemeteries. It is to prevent the ground from settling. 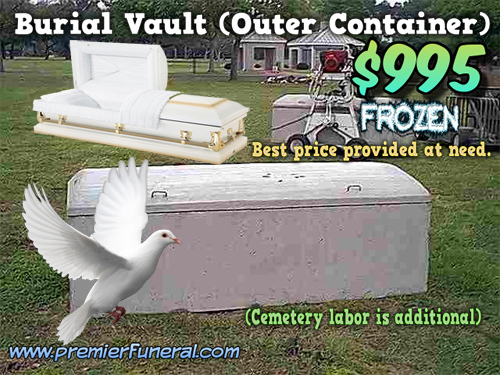 A sealed vault will not preserve the body, only the casket. 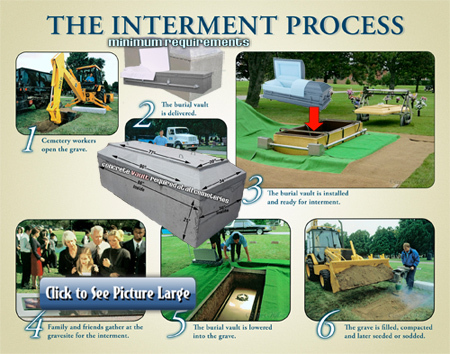 You only need a basic concrete "grave liner" or grave box. 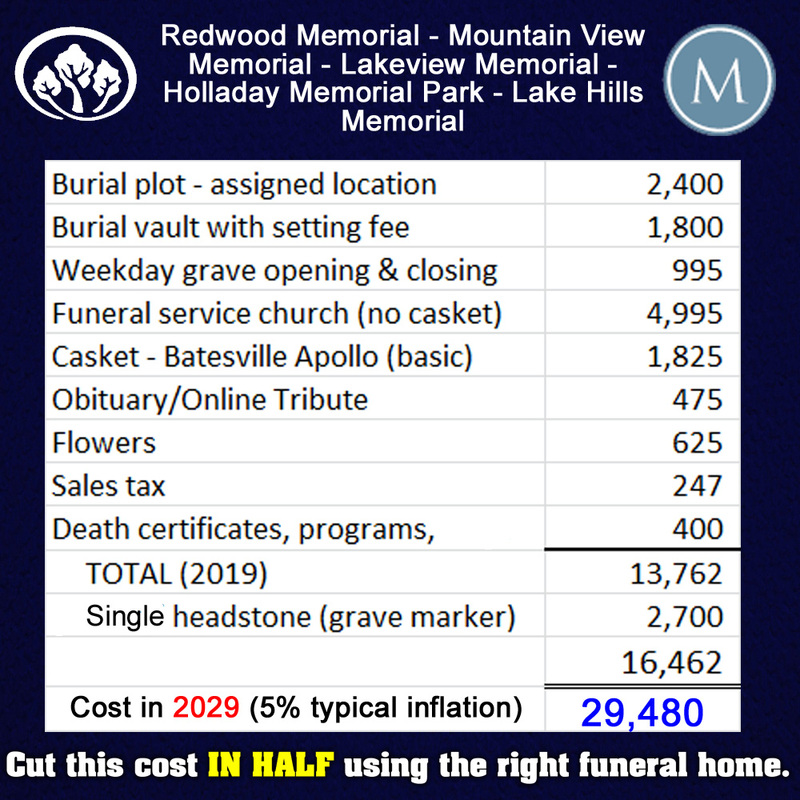 A vault with "setting fee" (setting means placing the vault in an already open grave) should not cost more than $1,500. "Opening & Closing" (digging) varies from cemetery to cemetery, and it depends on whether it is a weekend or holiday. 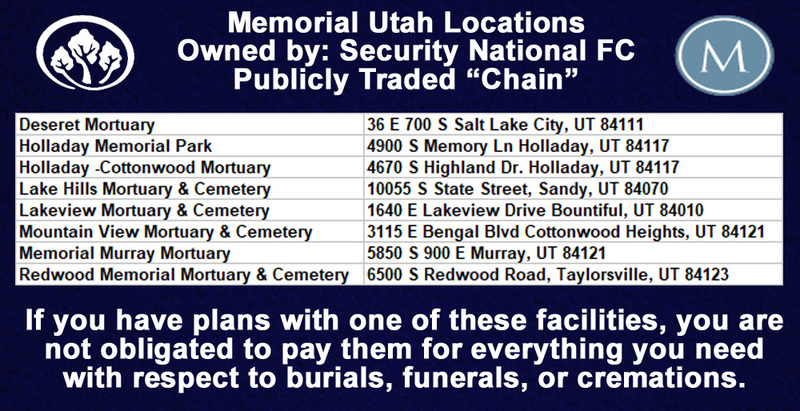 The chain memorial parks are charging around $1,000 for opening and closing, city cemeteries significantly less. 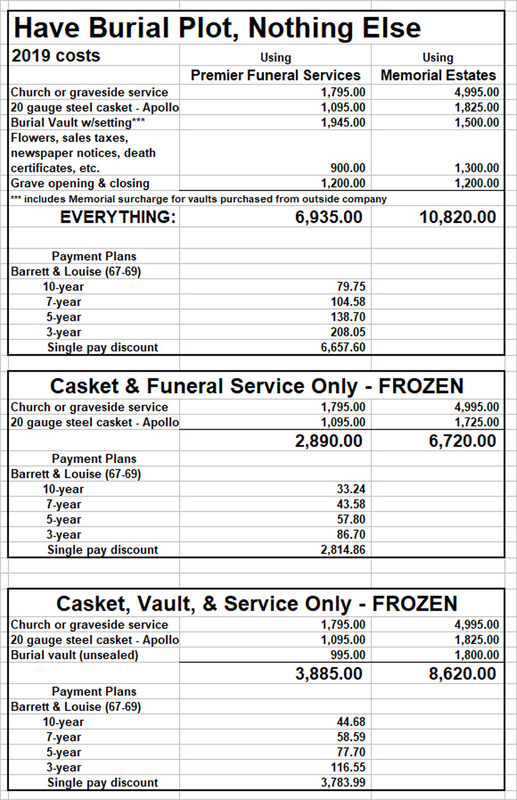 Vault setting is often free of charge at city cemeteries. The earth is compacted to prevent settling. 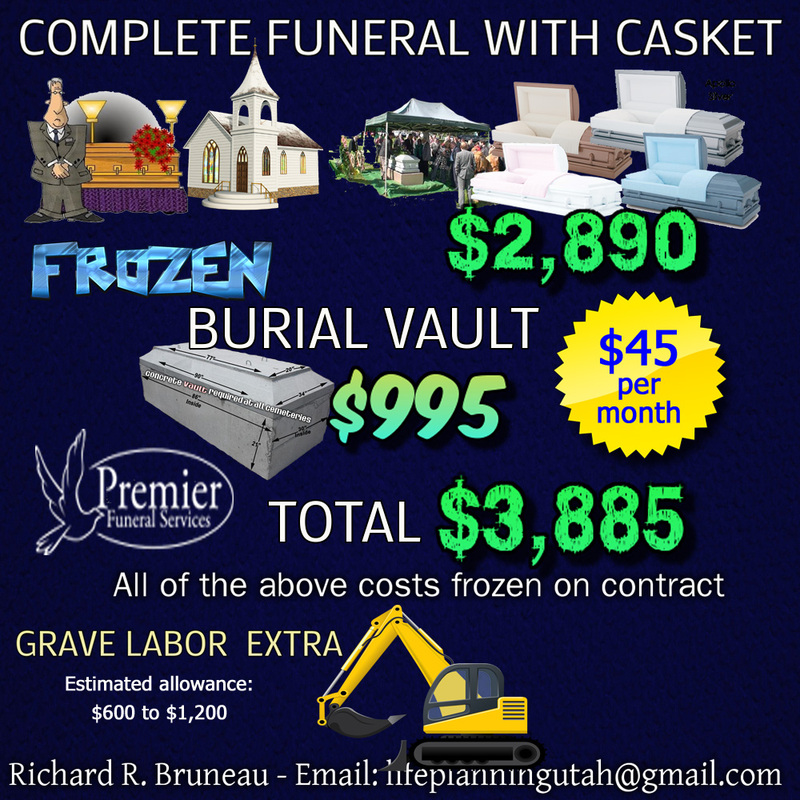 This can only be done with a vault or concrete grave box. 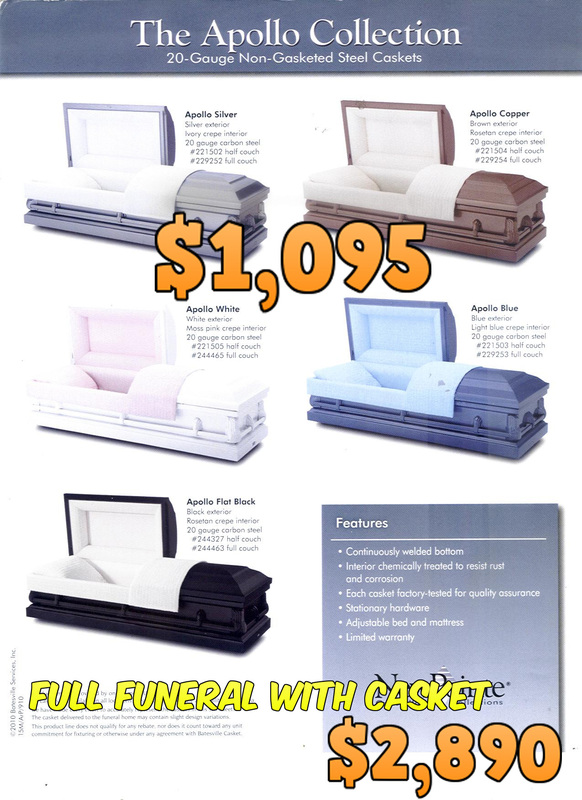 A casket alone would be crushed easily. The concrete vault is buried first. Then the casket is lowered into the vault. The lid is placed on the vault, and then the compacting is done. 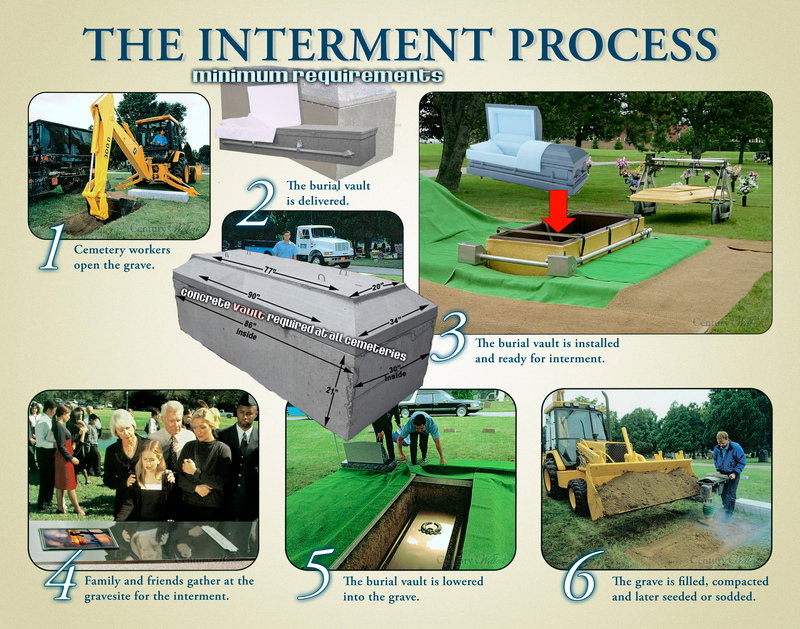 Sod is laid over the grave when compacting is completed. What is important about your subject area? 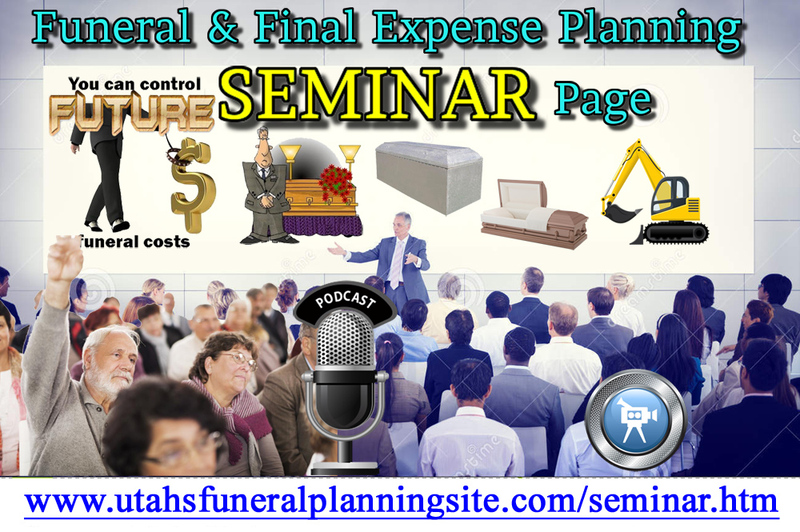 The most important points about final expense planning that I outline emphasize taking control so that your family can never be 'sold' something that is not very good. What do people need to know about the topic? They need to know 1) exactly who to work with, and 2) how to do homework on their own before meeting with anyone. Why do you do seminars on the subjects? I like group settings because there are more good, pertinent questions and intelligent exchanges. In the past, I too often experienced fear and distrust with a senior couple or individual alone. Even though they usually trusted me after a short while, they still felt they didn't want to "make a decision alone." When I introduced seminars into my work, I noticed that people the same age and in roughly the same circumstances appreciated conversing with their peers and myself about their concerns. I thought it was beneficial for everyone. What pitfalls do people need to avoid? There are many pitfalls to avoid which are explained more thoroughly on my Web pages. I distill all the biggest pitfalls into one seminar, so when attendees go home they are 'armed' to do further planning properly. What lessons do people learn the hard way? The lessons people learn the hard way always end up with the family over-paying when they did not have to. They learn the hard way also that not doing their homework is costly and frustrating in the end. 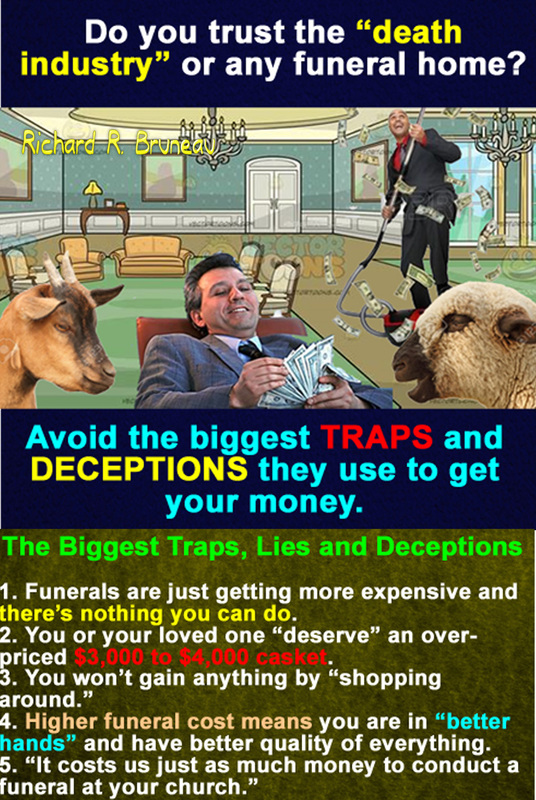 They are too "trusting" of salespeople who may not have their family's best interests in mind. What benefits will you offer to participants? 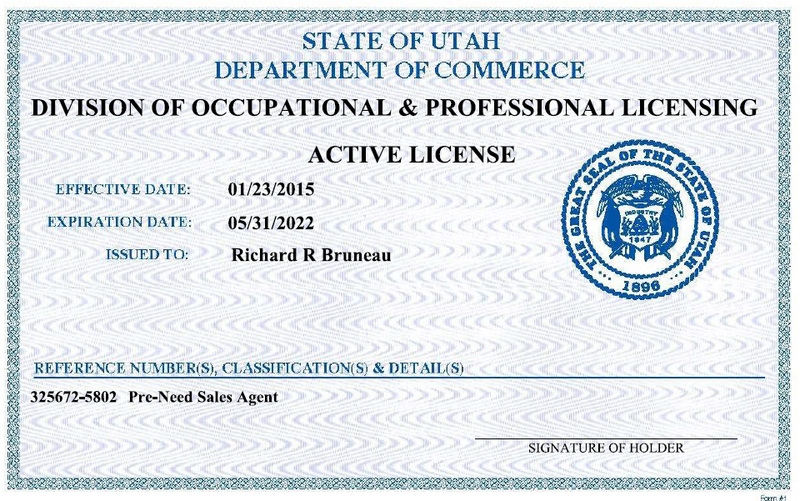 I offer the opportunity to become educated in a short period of time with no sales pressure. 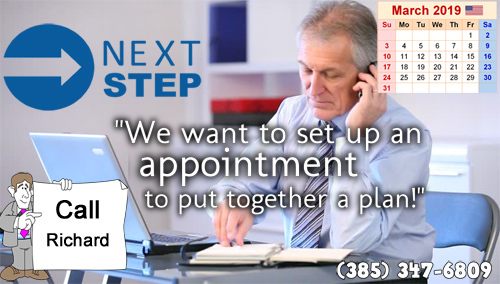 I do check with everyone after a period of time to find out if they would like to meet and go over their situation thoroughly. 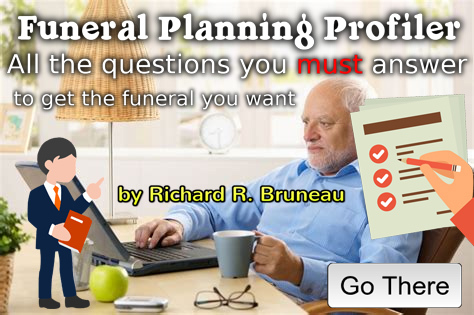 I offer a couple of plan suggestions. 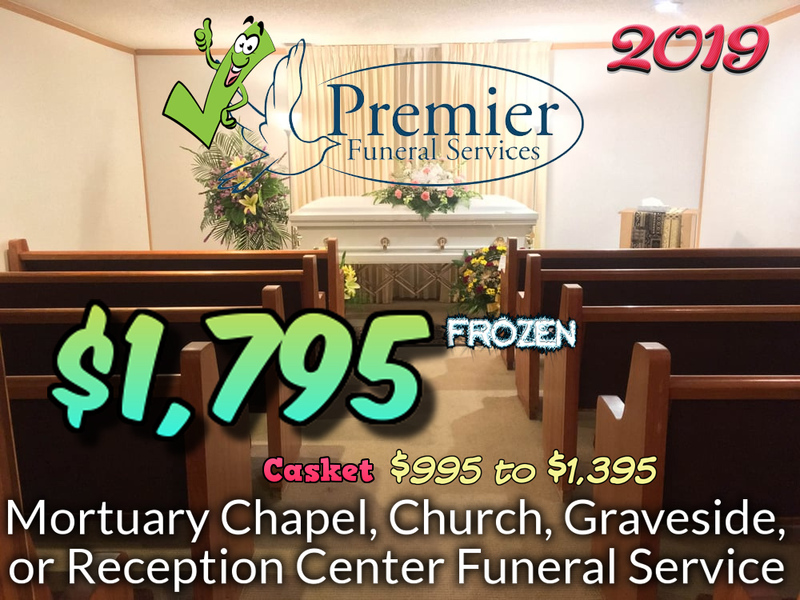 Usually I show them a plan with Premier Funeral Services, but they are numerous other good options. 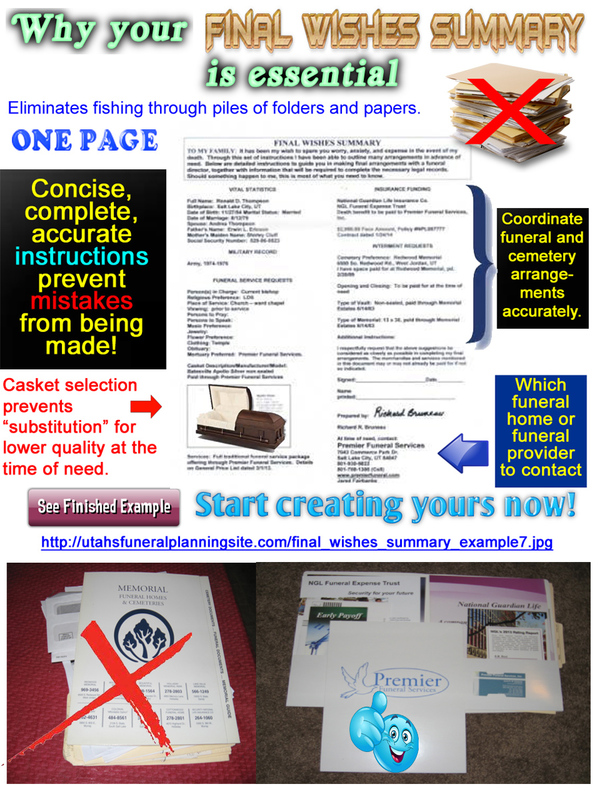 They will learn which Web sites, including mine, that will give the best final expense planning information. They will get a workbook to use, which may be particularly useful if Internet access is limited. 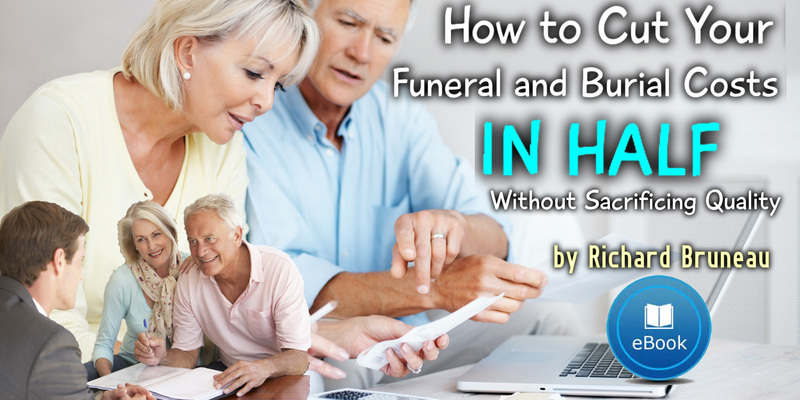 For example, some seniors have only an hour or two each day to use on the Internet and that may not even be on their computer or device, so having a paper notebook is essential. 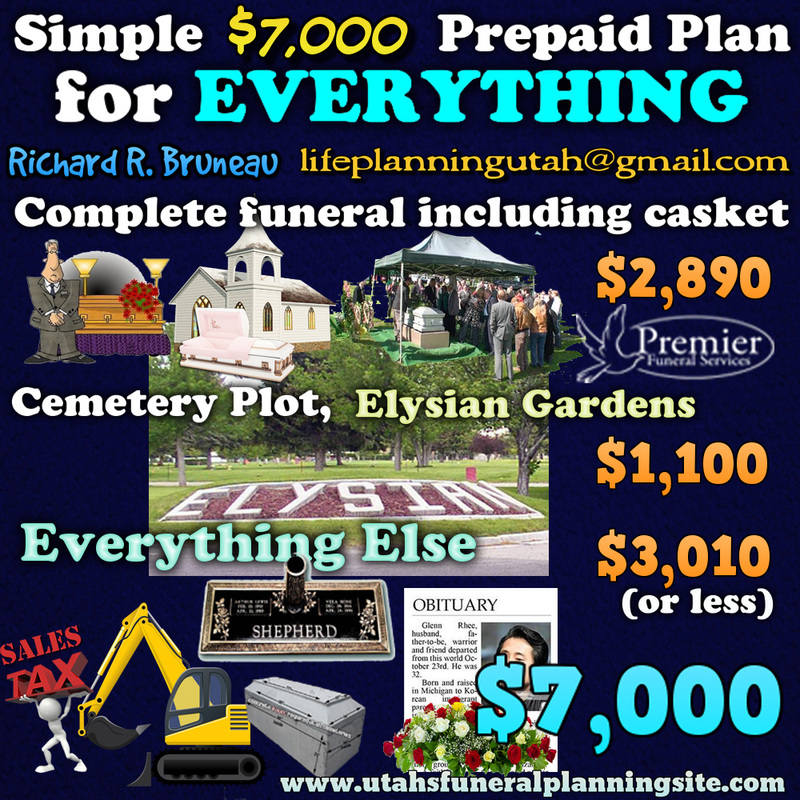 If offer the most comprehensive funeral and final expense planning options at the best possible price. What do you want participants to remember from the session? 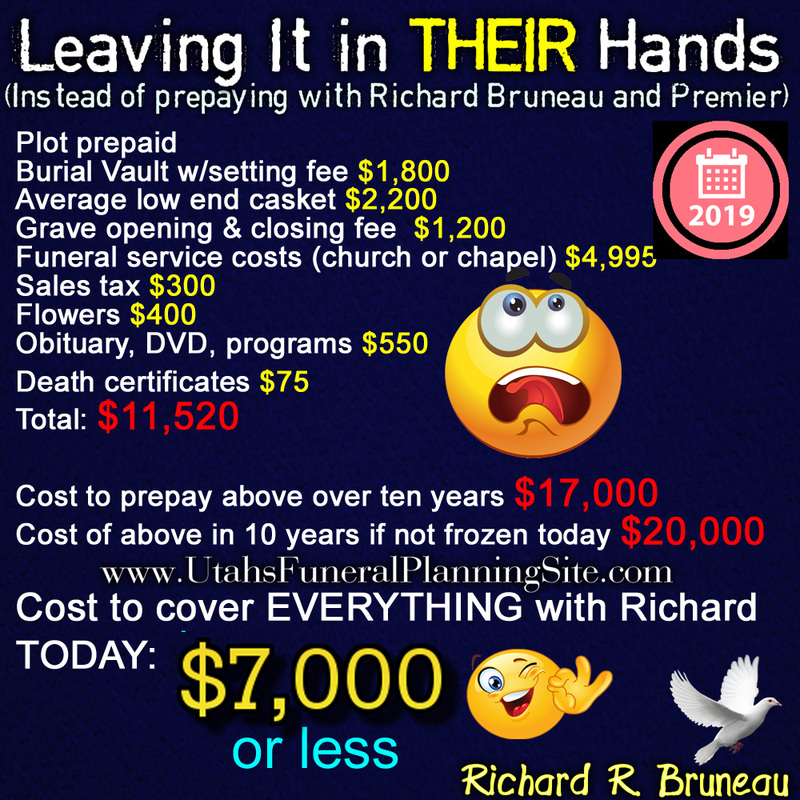 I want every participant to remember that they have the power to easily take control of funeral and final expense planning (which includes cremation options). They don't have to accept or be sold anything that feels wrong or is expensive. They can cover a lot of ground quickly and make the right choices the first time. Almost nobody regrets meeting with me, either individually in their homes or at my seminars. There is no pressure. 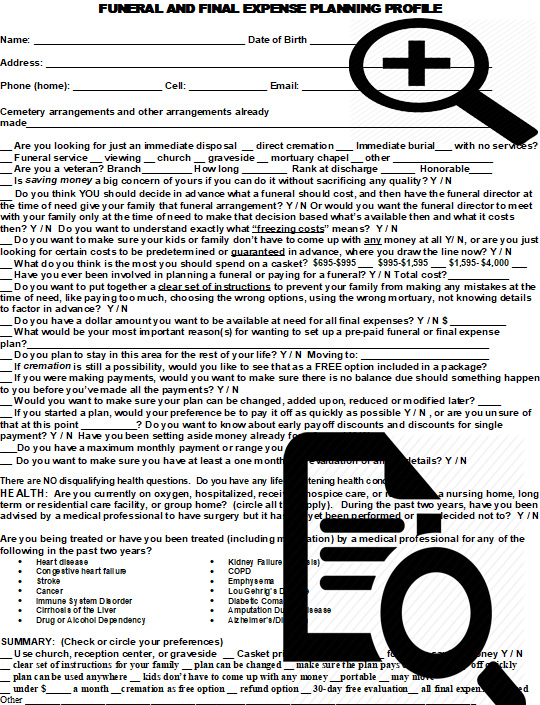 But I am so thorough and to the point that about 80% of my participants set up plans with me. 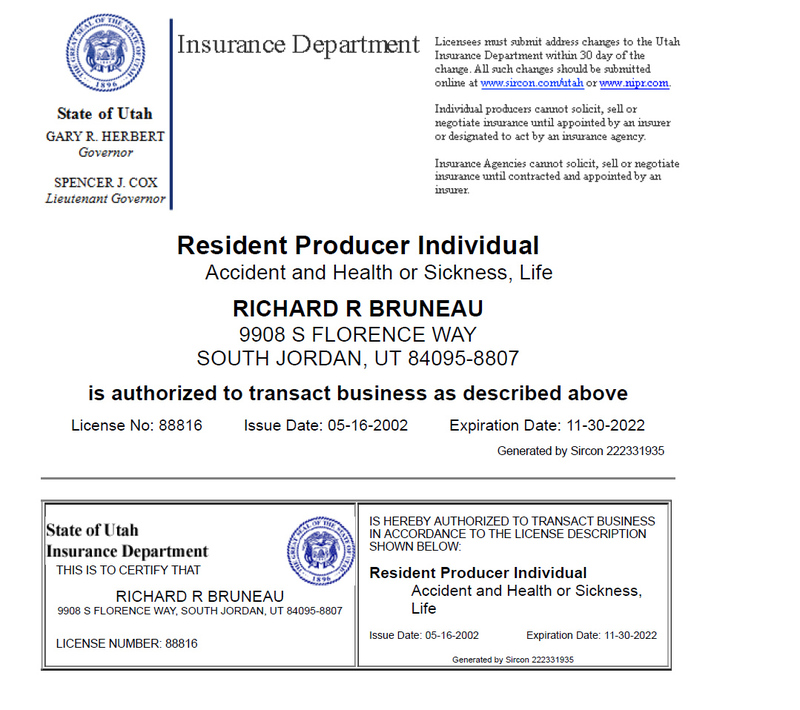 If it is already covered financially, they can at least use the information to ensure their family makes the right decisions at the time of need.